When talking about footwear, most people think of rubber shoes. For a long time, I was living with plain rubber shoes as well, until my colleagues invited me for an out of town trip. I know there’s no other best way to explore a new place but walking; and I also know rubber shoes won’t be that friendly on long, consecutive walking days. My wife suggested that I check online for solutions and she’s totally right. Probably that’s the advantage of women’s love for online shopping. 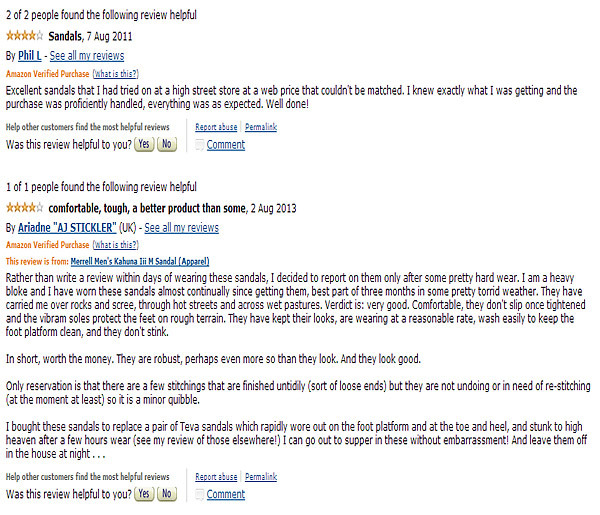 I found Merrell Kahuna Iii M Sandal and to be honest, I was doubtful of it at first. It looks pretty similar with other sandals and yet priced far expensive. It also doesn’t appear like men’s footwear. 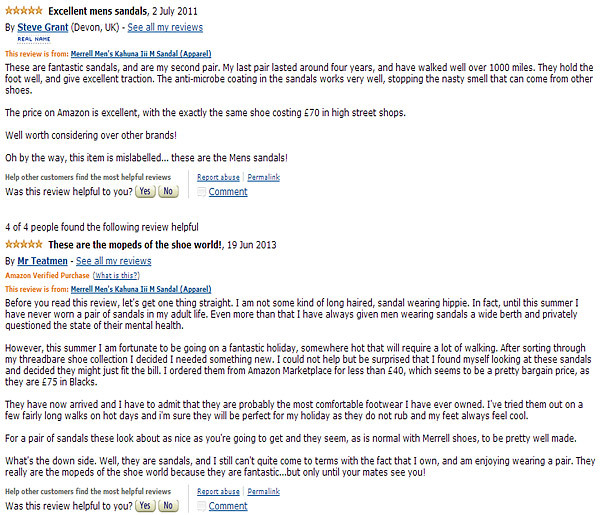 But after consulting my expert son who lives his life with sandals, and after reading the full description of the product, I knew I have all the reasons, and I need to purchase it. If I can, I would definitely give a medal of excellence to these shoes. Merrell Kahuna Iii M Sandal has that fashionable look (again, according to my son as I’m not much into fashion), comfortable feel and it’s also equipped with the best of the best shoe technology. Starting off, this footwear futures a back-strap style with Velcro for the fastening. Its outer material is purely pigskin suede and it brags about its Vibram Chameleon sports sandal sole which is TC5+ rubber. Such material combination is a more detailed way of saying the product is durable and can sustain any type of weather. It’s also not that sensitive to water hence, you can walk by the beach, get your feet wet while wearing these sandals without worries. Merrell Kahuna Iii M Sandal features a hook and loop closure system that, when matched with the back strap Velcro style, makes the perfect shoe system. Both are of great help in allowing wearers to make quick adjustments on the fit of the sandals. It’s also great to highlight the external TPU heel that personally found amazing. I never knew I can walk all day long without even feeling tiredness anywhere from my legs down to my feet. That’s because the TPU heel encourages stability when walking. Add to that the air cushioning in the midsole, you now have an efficient shock absorber that spares you from spoiling a great day’s adventure. I don’t know if this has something to do with the brand or the product itself alone, but I should day, Merrell Kahuna Iii M Sandal is full of technological features that you will definitely find useful in one way or another. Start that with the Lycra neoprene lining. This involves a padded lining attached on the sandals for a cozy feel. Such lining is treated with Aegis antimicrobial solution. It discourages microbes to reside on your feet by lessening the chances of having smelly and sweaty feet. Now isn’t that overstuffed or what? Just as when you thought a product is 100% flawless, you should also acknowledge the fact that makers are not Gods. They’re humans and therefore subject to missing some points. 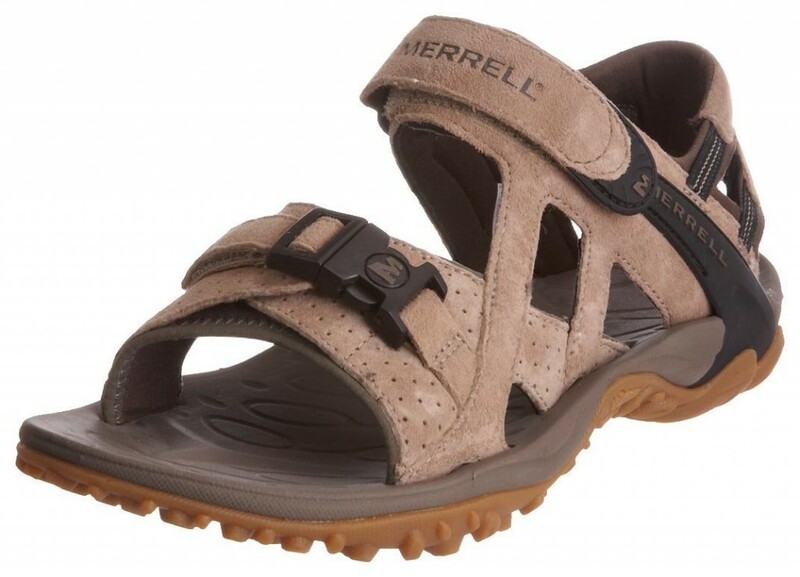 In the case of Merrell Kahuna Iii M Sandal, my personal concern would be the interior joins. They felt a bit rough and if you’re not that used to wearing sandals, you’ll probably do the same thing I did – wore these sandals with socks for a few times. Priced somewhere between Â£60-Â£75, Merrell Kahuna Iii M Sandal is undeniably the type of footwear that will grab the interest of every man. If not by the looks, you’ll surely get interested of the features of footwear technology involved. It’s not perfect but I can say it is worth recommending and worth the investment.